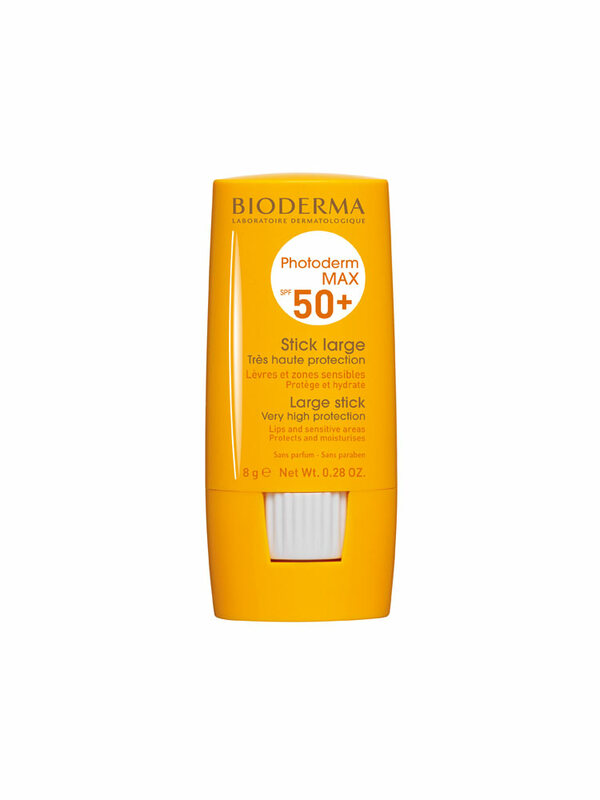 Bioderma Photoderm MAX SPF 50+ Large Stick 8g is a very high sun protection which moisturises and protects the most fragile and delicate skins (face, wounds, scars, nose, ears, marks). Fragrance-free, paraben-free and hypoallergenic, it is perfectly tolerated by all skin types. 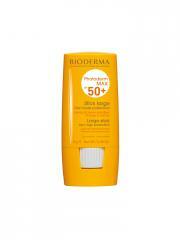 Apply to the skin before sun exposure, and re-apply frequently. Indication: Sun-sensitive and fragile skin. Diisopropyl Sebacate, Ozokerite, Octocrylene, Myristyl Lactate, Microcrystalline Wax (Cera Microcristallina), Mineral Oil (Paraffinum Liquidum), Methylene Bis-Benzotriazolyl Tetramethylbutylphenol, Paraffin, Aqua, Butyl Methoxydibenzoylmethane, Triisostearin PEG-6 Esters, Beeswax (Cera Alba), C 12-16 Alcohols, Ectoin, Mannitol, LAminaria Ochrileuca Extract,Tocopherol, Decyl Glucoside, Hydrogenated Lecithin, Palmitic Acid, Glyceryl Undecylenate, Dimethicone, Propylene Glycol, Xanthan Gum, Citric Acid, Caprylic/Capric Triglyceride, Tetrasodium EDTA, BHT. sun protection lip stick, which I would definitely recommend to anybody. Have used it before and it is top quality. Excellent product - lovely feel and scent.